This past weekend my daughter in law brought us these garden pearls! These tiny cherry tomatoes are a real treasure! Sooooo sweet and juicy. She has her own garden and never goes to the farmer’s market… I can’t imagine how much money she saves per year!!!! She grows tomatoes, potatoes, beans, swiss chard, broccoli… not to mention her fruit trees: figs, apples, peaches… I was gonna say she is so lucky, but you cannot imagine the hard work this garden implies. She harvests all the veggies and fruits and preserves/freezes them so that she and her family have cans and jars in their pantry to use during the long winter. I used some of the cherrys to make a colourful salad and each bite was a blast of flavourful juices! She also gave us 3 kilos of ripe huge and meaty tomatoes that I will use to cook a sofrito and preserve in a jar… but this will be another post’s entry. Looking for a second dish to complete the menu? My suggestion here would be a Duck’s Breast dressed in Nuts and Herbs with a Raspberry sauce. Isn’t the title of the dish seducing you already? Beautiful pictures! I’m jealous of your daughter’s garden, especially the fruit trees. Your tomato pasta dish looks wonderful. 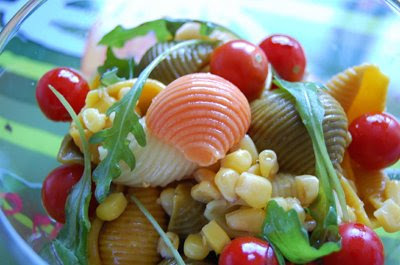 Nuria, you have a bounty of beautiful cherry tomatoes…and the pics are beautiful!…love the pasta salad. I am jealous of people with gardens…especially now that I live in an apartment without even a balcony. I planted tomato seeds and have a sparce “tree” with not a tomato flower in sight. Your pasta salad looks awesome. Thanks for sharing with Presto Pasta Nights. 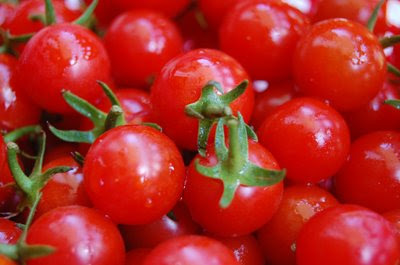 Cherry tomatoes reminds us that they are fruits – not veggies…that’s how sweet the garden ripe ones are. Oh Nuria that salad looks wonderful!!! I have passed another award on to you. You can pick it up on my blog! Thanks so much Peter… want some to make your own salad? Hola Recipegirl! Yeah, I love that picture too! :D Thanks! Hola Peter :D. Life is in colours right now!!!!!!!!!!! It is a lot of hard work but worth it. CS’s parents have a huge vegetable and fruit garden in Germany. Its back breaking work that needs constant attention. I wished we lived there just for the garden. Nuria. I am all confused. Who is speaking in your post? Is it your mother-in-law talking about you, chica? The dish is outstanding and the picture with the tiny tomato in the pasta is genius. Beautiful pictures and a wonderful looking dish, Nuria! Fresh garden tomatoes are one of the best foods on earth! I do love that first picture. It’s a prize-winning shot. I can just taste how that cherry tomato would explode in the mouth with flavor. You have a wonderful sister!! I’m hosting Presto Pasta Nights next week! Yum! I love keeping a pasta salad on hand for lunches. Beautiful pictures, too! Hola Sylvia! Thanks so much :D. I love that first picture too. Hola Courtney! Yes she breaks her back there… but her father in law helps her a bit. The taste of the veggies is sooooooo different from the ones at the shop! Ivy, I don’t understand what you mean. I am writing about my husband’s sister. Wouldn’t she be my sister in law?… I just realized I said daughter in law instead of sister…. Gosh!!!!!!!! That first photo is great – there is definitely an idea for a party nibble in there somewhere!! I love cherry tomatoes in a salad. This is the perfect time of the year for them also. They burst in your mouth. Yum! i absolutely LOVE that top picture. SO great! Núria, those tomatoes look amazing!! I only wish I had such a bountiful garden, haha! I’ll be going to the farmer’s market tomorrow to stock up on my fruits and veggies. The salad also looks bright and delicious! pd. Yo debería preservar sofrito para cuando no tenga tantas verduras durante el invierno… q buena idea! I adore pasta salad! Especially when it is colorful and includes fresh veggies. What a great meal. Wow pasta looks colorful and sounds divine. First time here u have a yum blog with yum recipes. 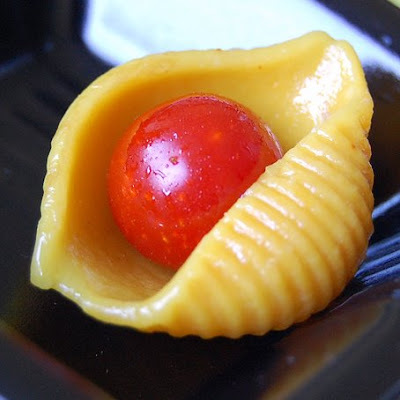 oooo… i fell in love with the first pict of the pasta shell with the little shiny, red tomato! Reminds me of the song by Hank Snow – Pearly Shell! 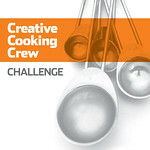 Thank you so much for the recipes and gorgeous picts! 2 Thumbs UP from me! Hola Deeba :D. You make me smile :D Is it a good time for cherry tomatoes in India? What a lovely blog! I love Spanish food, but need reminding that it’s more than tapas and paella ;) Guess I’ll be visiting some more, if you don’t mind. Thank you for delightful post + enjoy your sunny photos too…. Thanks for visiting. 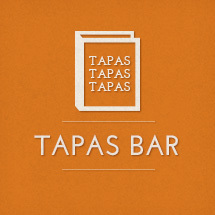 Yes, Spanish cuisine has tones of different recipes!!!! Hola Taste Memory! 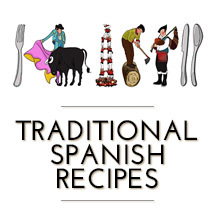 Welcome to Spanish Recipes :D Thanks for your kind words :D. I’m glad you enjoy it! Wow, that is one good looking pasta salad! I love the first picture – it is stunning!! !